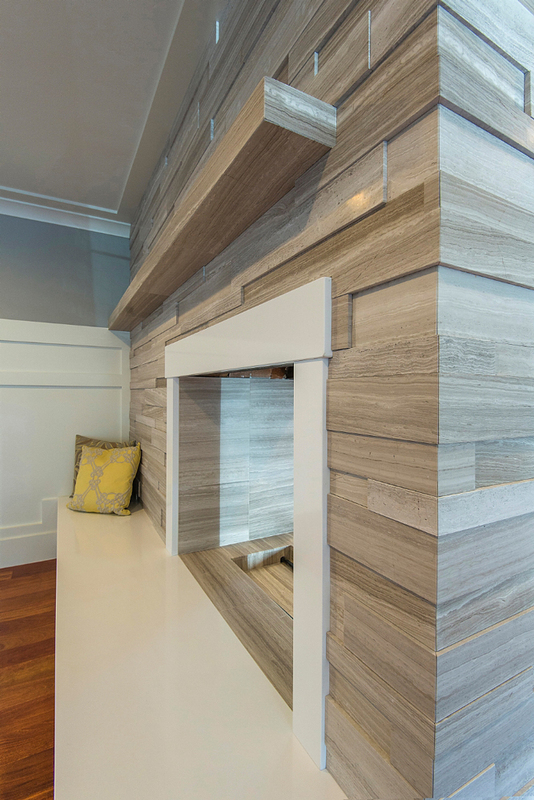 While the designs made possible by the 3D Stone and Tile approach are nearly infinite, there are two primary categories of design: "Wedged" and "Popped." 3D Wedged designs employ tile to which wedged-shaped versions of our patented BreakThru Backers have been applied. Depending on how the tile is laid (thick end-to-thick end or thick end-to-thin end) either a wave or staircase effect can be achieved. Both of which are dramatic and totally unexpected. 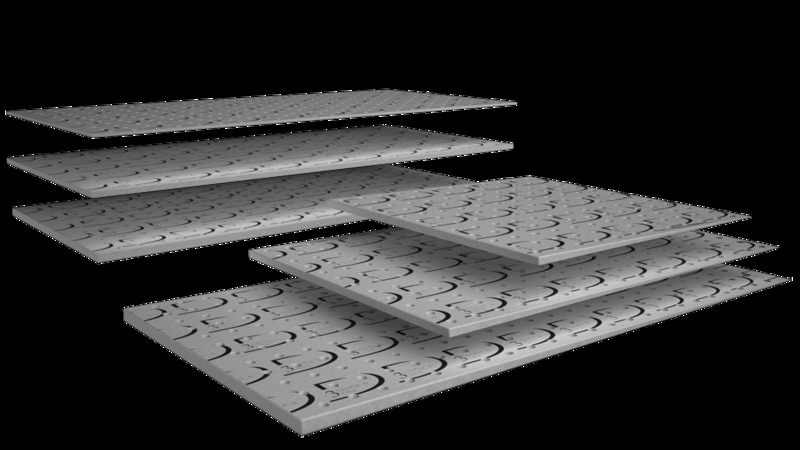 3D Popped designs employ tile to which flat versions of our patented BreakThru Backers have been applied. Because the Backers are of various thickness, individual tiles can be made to "pop" out from the main plane of the tiled surface, creating another unique and dramatic set of design possibilities.